← And so to October – rain dances at the ready!! 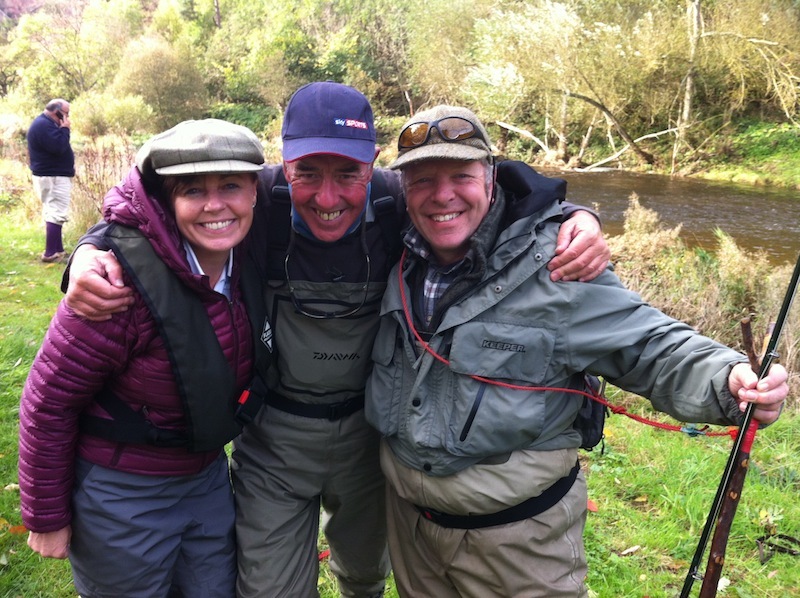 Sky Sports presenter Keith Arthur fished for salmon and grayling on the Tweed this week with FishPal’s Anne Woodcock for the popular TV programme Tight Lines. Keith was greeted with rather challenging conditions on Monday, most of the river was in flood and many anglers fishing sessions were curtailed by rising, dirty water. Keith managed a morning session with Mick Charlton on Middle Pavilion, but sadly only trout were in the taking mood along with leaves, logs and debris coming down the river. By lunch time the water was too high and not safe to fish. The crew left for the Whiteadder, which had not been affected by the torrential down pours on Tweed. The Whiteadder at Bluestone looked perfect, and unlike the main Tweed no sign of leaves were coming down the river either. It was great to see Tweed customers who had been washed off beats on the main river – still enjoying a fishing session. The rods had seen fish too and had lost a fish that morning – encouraging signs. Tuesday and a dropping river, Keith was fishing with Nigel Fell on Boleside beat where last years Malloch Trophy winner caught the 50lb salmon. 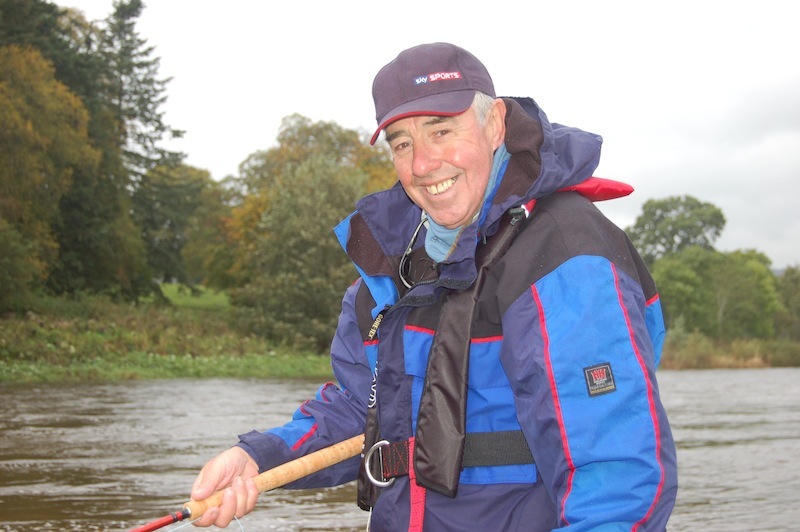 After casting tuition from Nigel, Keith fished the famous Glenmayn pool, followed hot on his heels by our marketing director, whose junction shrimps and garry dog flies were attracting trout, but salmon were still proving to be rather elusive. His final day on the river and with good conditions, Keith joined Tweed grayling and trout experts Fin Wilson and Mike Allan for a session chasing the lady of the stream on the Yair and Ashiestiel beats of the Tweed. After a morning session catching grayling on the fly, including a huge Tweed grayling at 3lb by Mike Allan to camera – Keith hooked into a salmon on a 4″ grayling rod. After a great fight lasting 10 minutes sadly the fish went behind a rock and broke the light tippet. After lunch prepared by Mary at Wild Dining of Cullen skink, pulled pork rolls, date bar, strawberries with sage and lavender posey and Jura – it was back to the river. Thank you to the salmon rod fishing the beat who hooked and landed a salmon to camera during filming. Whilst Keith was filming with Fin the beats that he had fished with little success the previous days were catching fish. 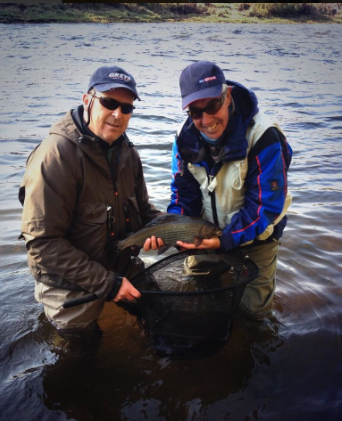 Wednesday – Boleside 10 salmon and 2 sea trout. Middle Pavilion 2 salmon up to 19lb and Bluestone 1 salmon. Special thanks to the owners of Boleside, Middle Pavilion, Bluestone, Yair and Ashiestiel for making this possible. 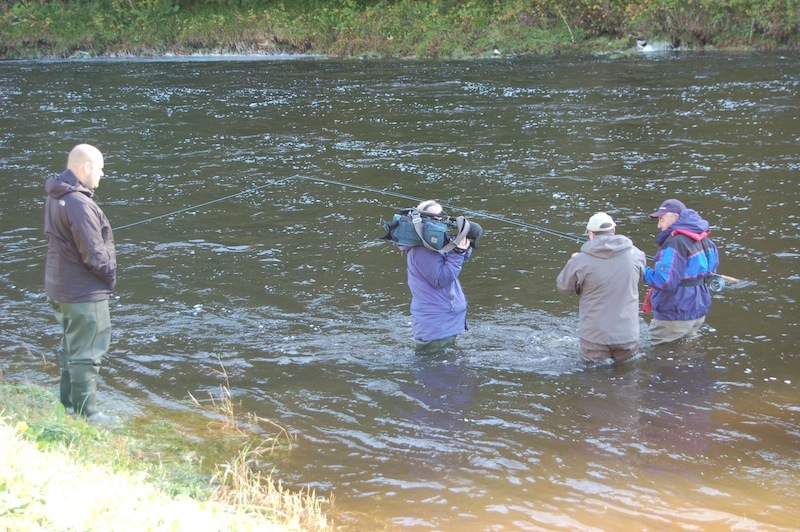 Thank you to Borders Gunroom who supplied all waders to the Sky Sports film crew.